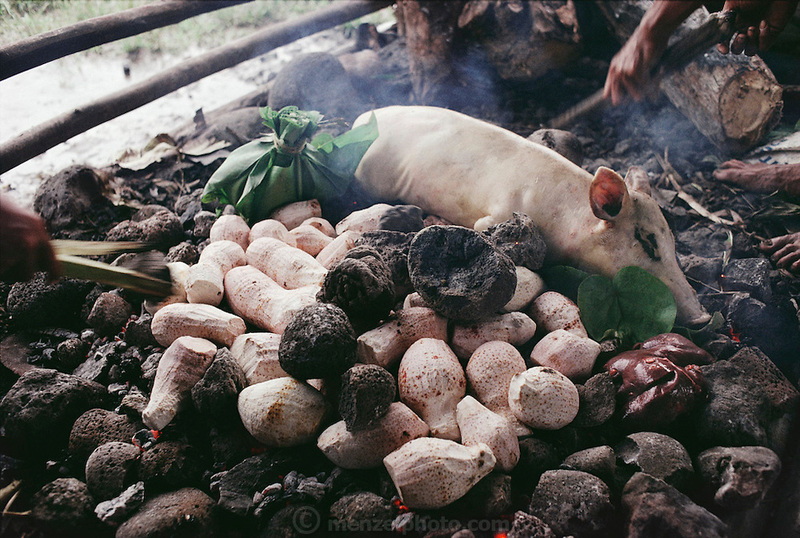 The main course for a feast at the Lagavale family home in Western Samoa is a freshly killed pig that roasts on a pile of volcanic rocks heated by fire. Also on the fire is the pig's liver and peeled taro root. Published in Material World, page 172. The Lagavale family lives in a 720-square-foot tin-roofed open-air house with a detached cookhouse in Poutasi Village, Western Samoa.